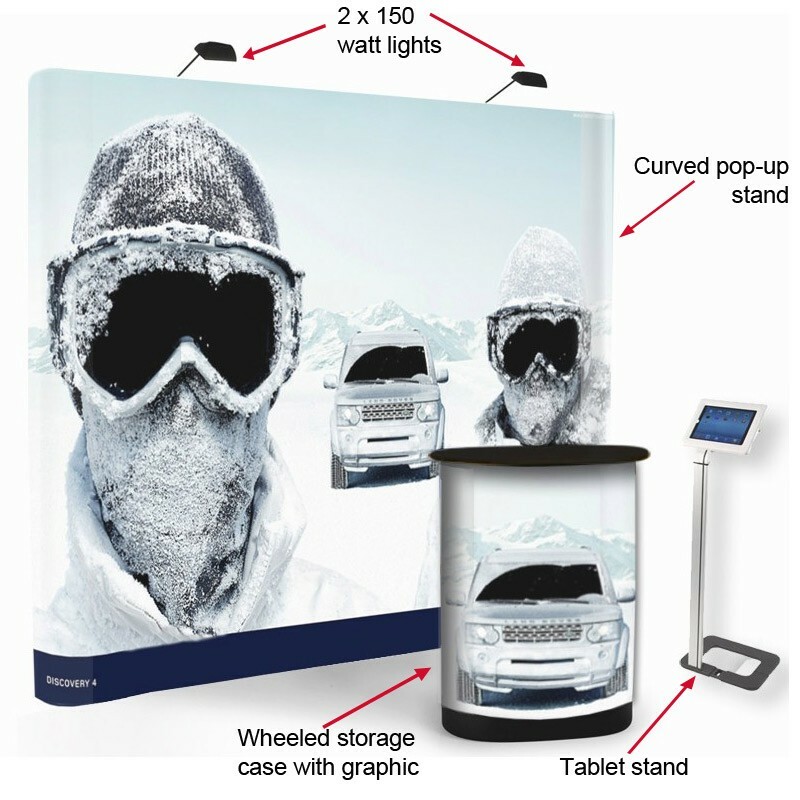 Give your exhibition display kit a digital edge with our ProKit 1502. 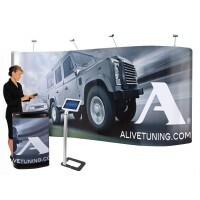 Including an eye-catching curved 3x3 pop up including your graphics in full colour. Also included is a convenient wheeled drum for transporting your stand and graphics and it doubles up with it's wooden top as a handy counter as an informal meet and greet point. 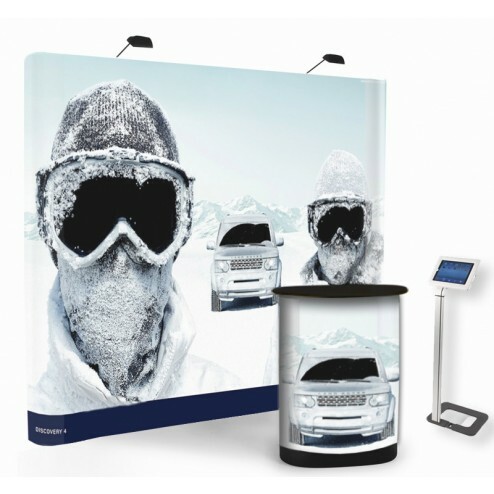 Also included are a convenient set of halogen lights to fully illuminate your exhibition stand, ensuring optimized visibility for your display content. What’s more, an accompanying freestanding tablet holder is an ideal touch point for client demonstrations, online order placing, social media endorsements, or simply to brand educate your prospective clients, great for reducing the need for costly print marketing while also enhancing customer interaction. It’s good to know our in house design team can create bespoke brand graphics for your banner design with premium coloured inks – what design will you choose? Don’t get left behind – evolve your marketing impact when you display with the Pro Kit 1502 bundle. Discount Displays did a fabulous job of creating our Pop-Up Display - the service was great, from customer care through to the design and quality of the final prints. The aspects that are involved in the Pop-Up Display, such as the trolley, lights, artwork etc are all of a high standard and the drum is so useful in keeping everything together. Thank you so much!